Mustang Wanted is a daredevil athlete from Kiev, Ukraine. On his website he releases heart-stopping photos and videos of himself climbing and hanging off of extremely high surfaces without the use of ropes or safety harnesses. 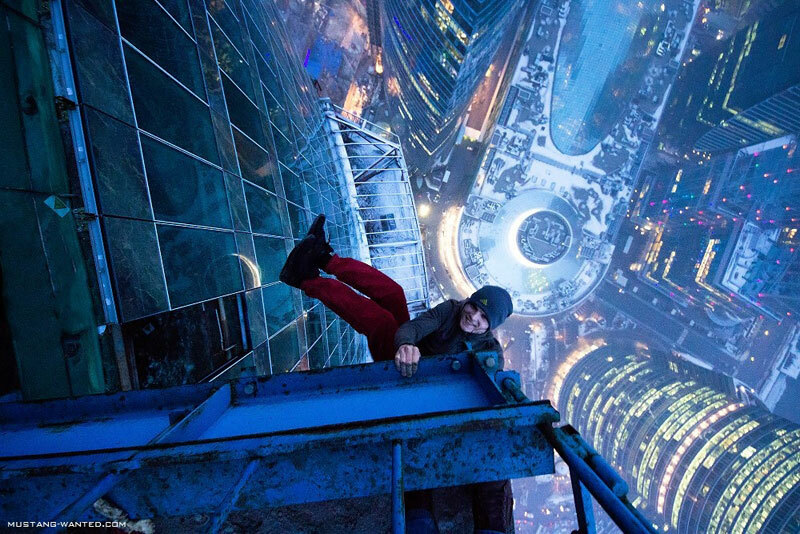 The activity has become known as rooftopping or skywalking, a blend of death-defying stunts and photography that has produced some very dramatic results. To keep up to date with the latest from Mustang Wanted, check him out at the links below.